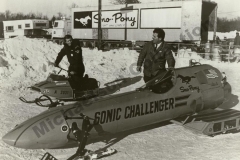 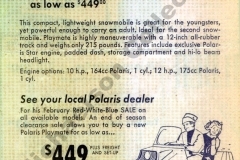 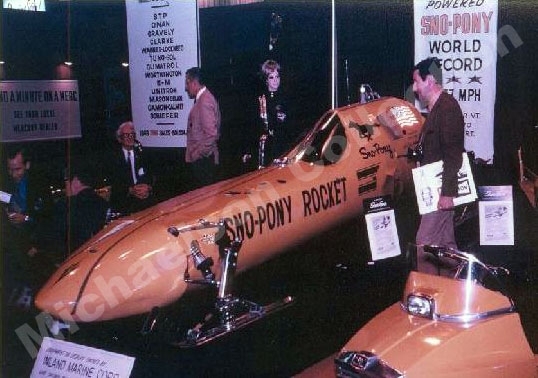 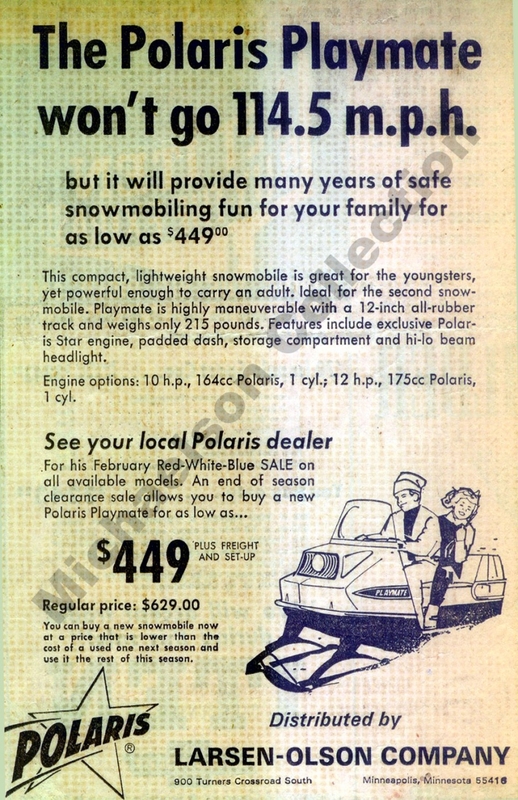 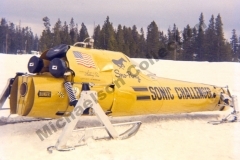 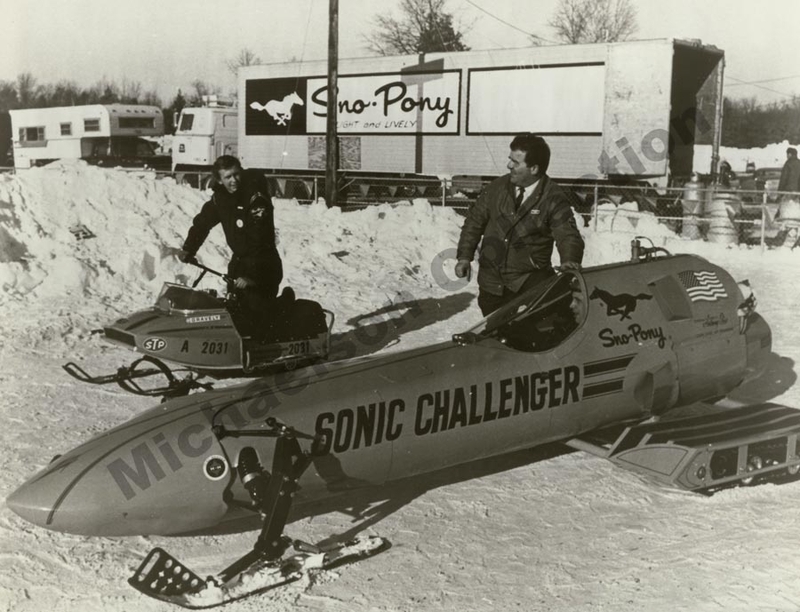 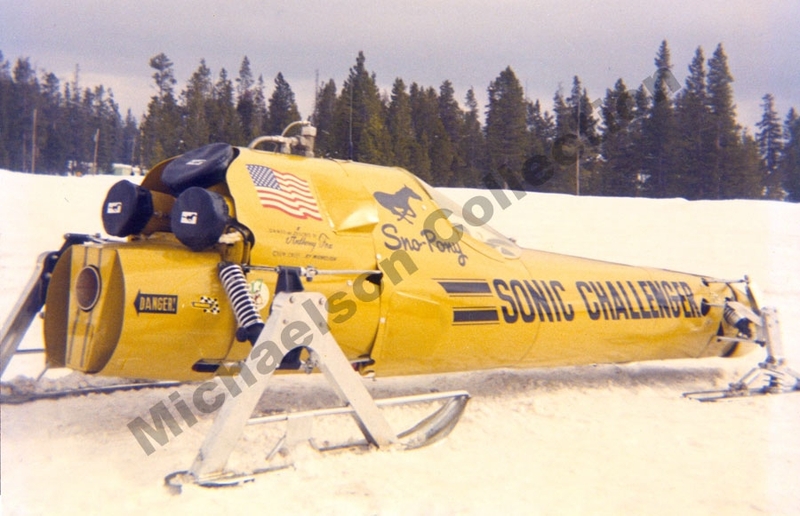 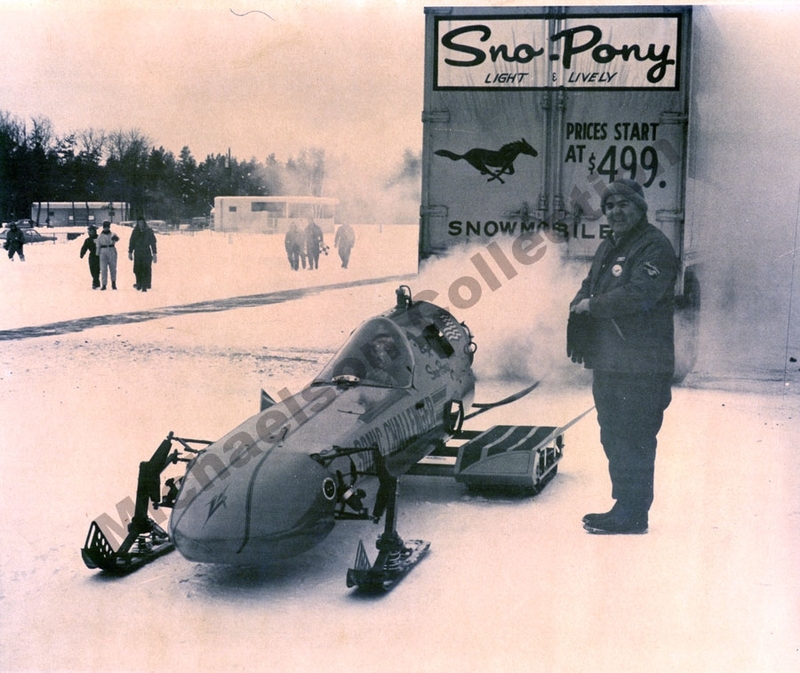 In 1962 I worked for The Sno Pony Snowmobile Company in St Paul, Minnesota. 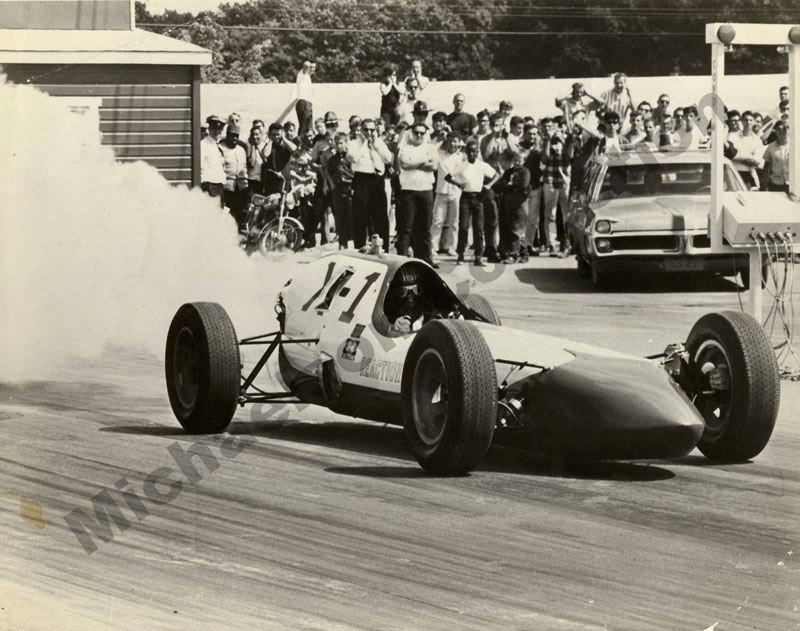 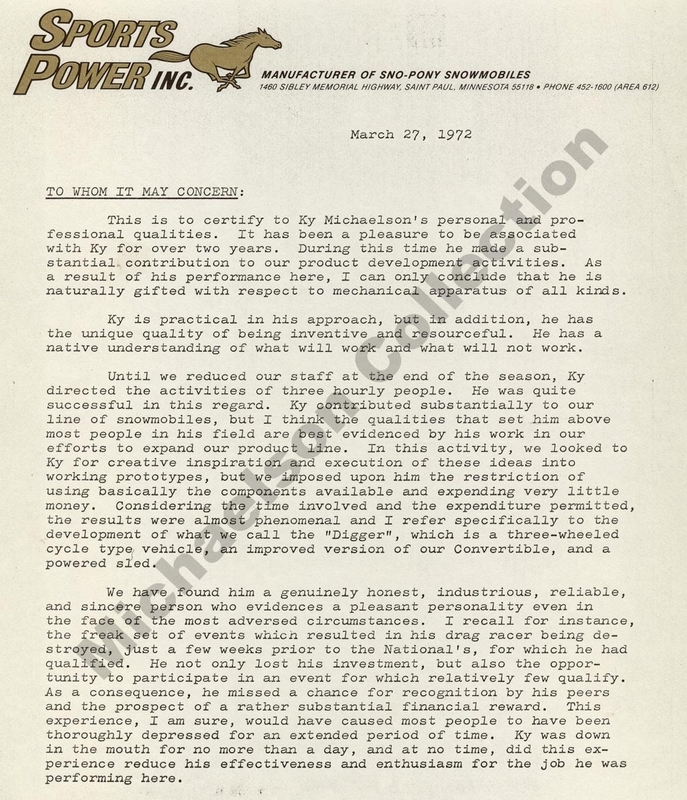 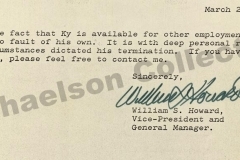 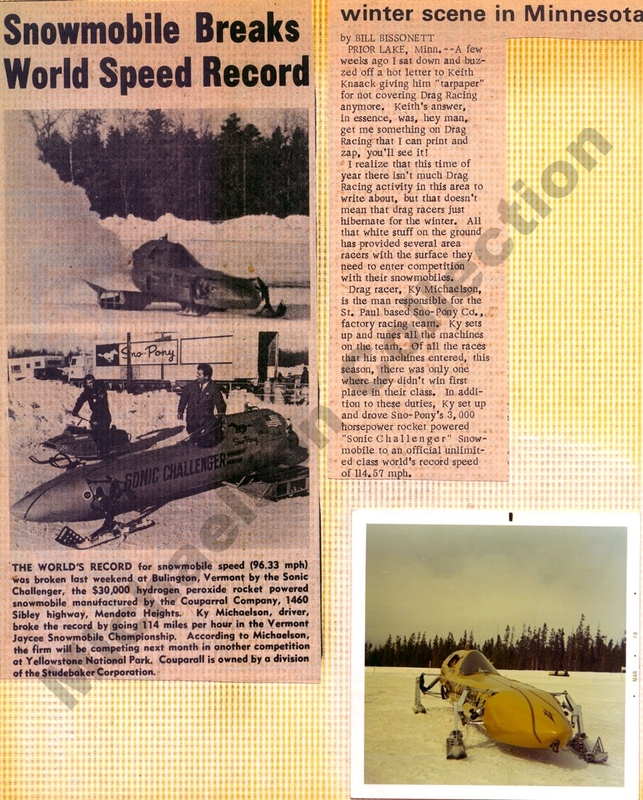 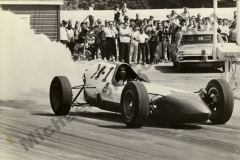 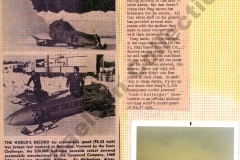 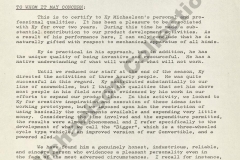 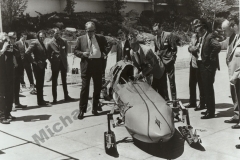 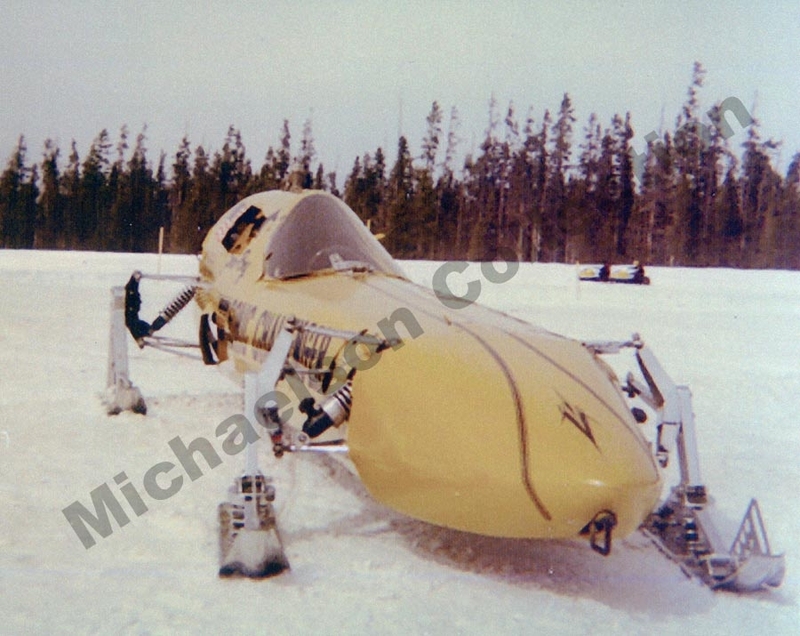 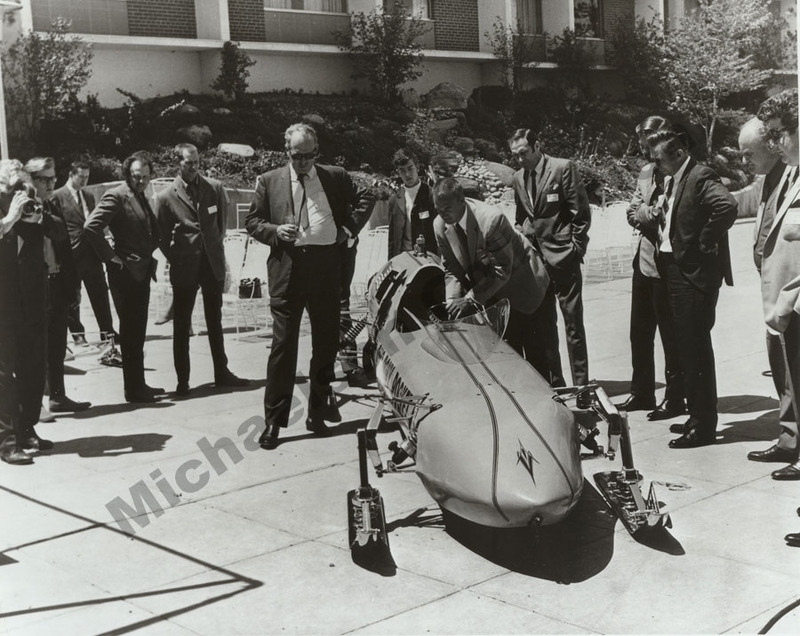 I talked Tony Fox the owner of the Company into buying the X-1 Rocket Car from the Reaction Dynamics.I pulled the wheels off and put snowmobile tracks on the back and skis on the front. 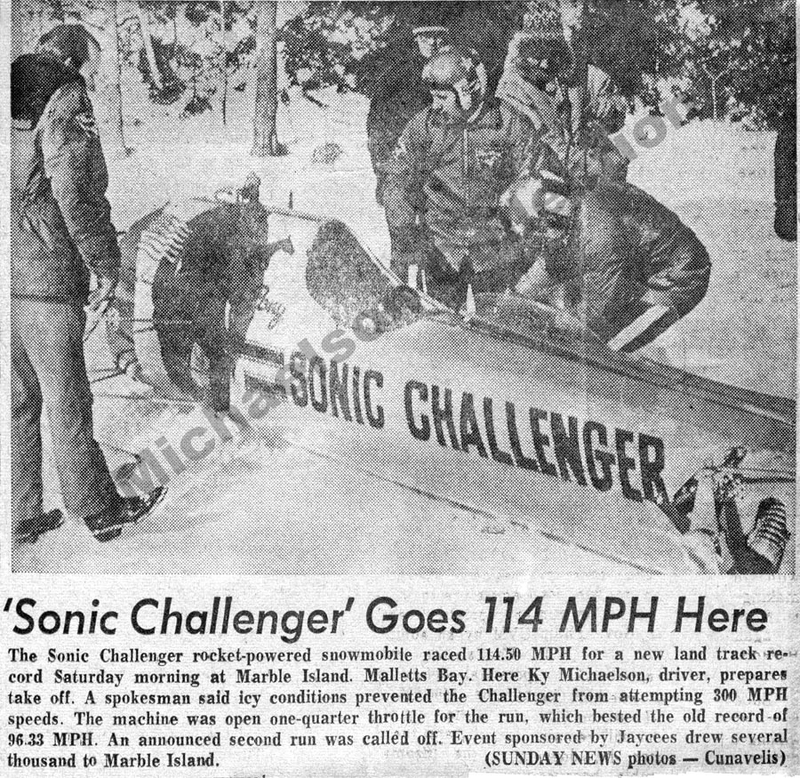 We named it the Sonic Challenger. 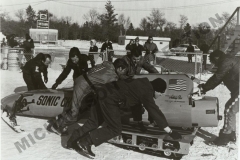 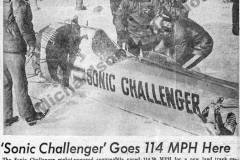 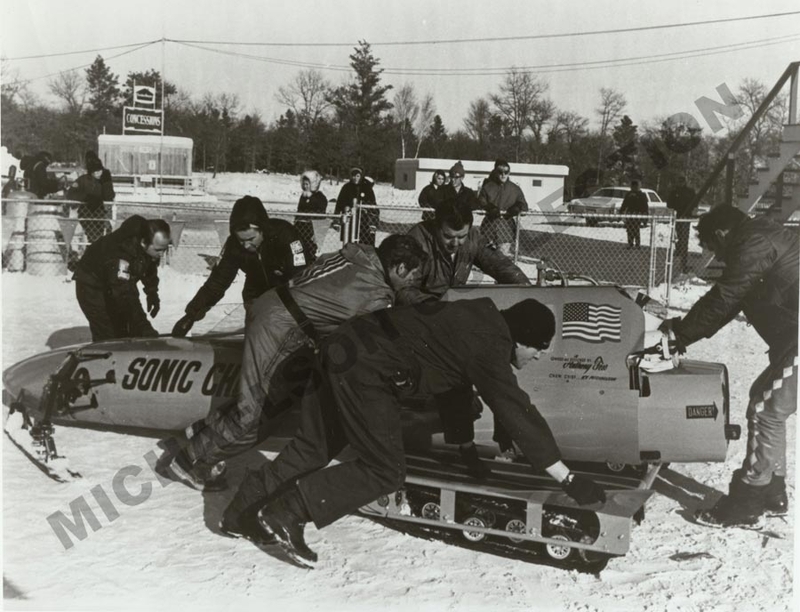 The first time we tried it was on a track in Brainerd, Minnesota.It was 20 below that day so, we had to put tank heaters on the Hydrogen Peroxide tanks to stop them from freezing up. 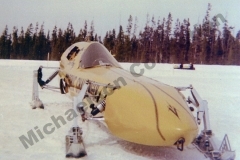 I wasn’t sure if the rocket motor would even fire because of the cold so, we put a chain on it and hooked it up to the back of a Semi truck for safety sake.When I opened the throttle, the rocket motor came to life. 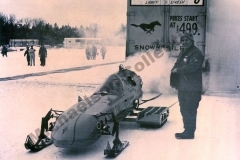 The steam from the rocket turned into a snow storm and as you can expect the crowd went wild.